HULFT approached UK digital integration specialists Influential Software to become UK partners in Q3 2018 and have now announced they are building on their success as HULFT expands further into Europe. HULFT is a comprehensive data logistics platform that is quickly becoming the global leader in digital integration. So partnering with European market leaders such as Influential Software is just part of their global expansion strategy. Together, Hulft and Influential Software provide customers with both the strategic expertise and the unified platform they need. Helping businesses to overcome the most complex data integration challenges. HULFT has decades of experience helping more than 10,000 customers transform their data, automate manual processes… To bridge the chasm between legacy systems and digital transformation… We’re excited to bring our proven history of customer success across all industries into the European market. Junichi Yamazaki, director of business development for EMEA, HULFT, Inc. The Hulft-Influential Software partnership brings business cutting-edge digital integration tools and experience to UK businesses. Which is great news for our more than 100 active UK clients who can benefit from industry-leading technical and business processes with complete data integration solutions. That means even more of our clients will soon be able to deliver trusted data from sources across their organisation. Comprehensive, high-speed data integration architecture. Securely compatible with all major data destinations through a simple, clean visual interface. A next-generation file transfer solution. Move large volume, high-frequency information quickly, securely, and reliably. A highly flexible, intuitive, web-based central management for all data workflows. 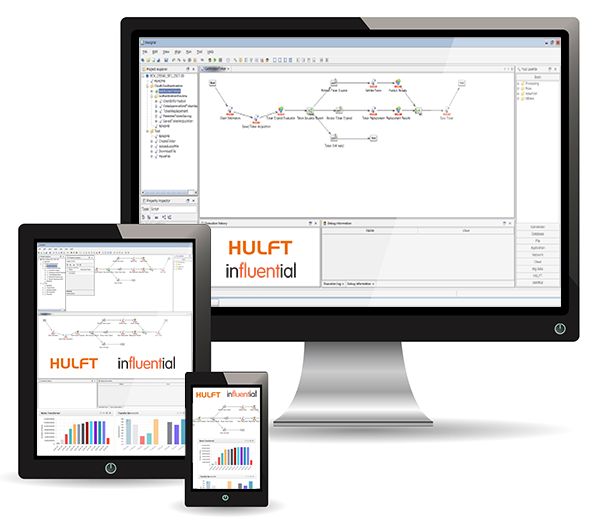 HULFT Director is fully scalable and adjustable to your organisation’s needs. Visit the Influential sites HUFLT-Integrate and HULFT-Transfer websites to find out more. Interested in HULFT products and services? Or looking for support and advice on integration projects? If so, talk to our team today.